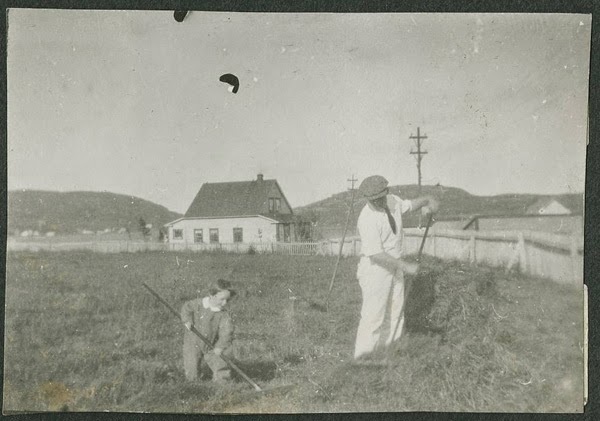 This week's featured folklore photo is of my late great-grandfather, Jack Peddle, making hay at his farm in Lethbridge, Bonavista Bay. Bonus Photos: A cute little kid making hay! Photographs: Courtesy of The Rooms Provincial Archives. son of Dr. John Mason Little and Ruth Keese Little. Caption Caption on back: The kid is the Little's ! 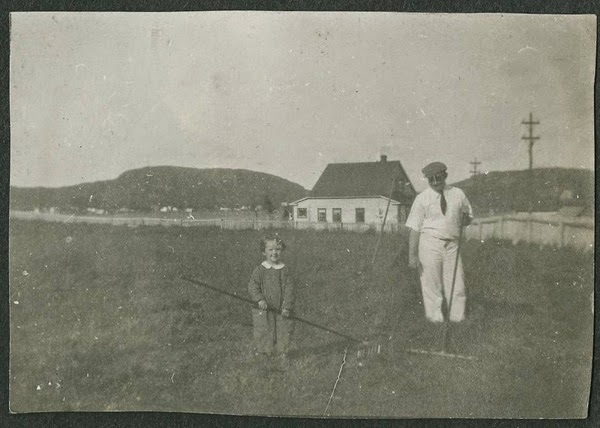 For more on making hay check out these blog posts about hay barracks in Newfoundland. 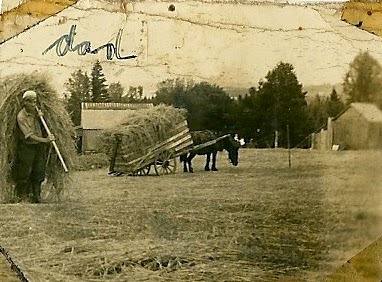 Many good memories of making hay during a succession of summers in Jackson's Cove, Green Bay - from mowing to forking it into the barn for the winter.